Short Info: The Uttar Pradesh Police Recruitment and Promotion Board is going to conduct the UP Police Constable examination. The examination will be organized on 27th and 28th January 2019 for the male constable and on 30th January 2019, the examination will be conducted for the female constable. The great number of aspirants has applied for UP Police recruitment. Now, all of the applied candidates in this examination have to appear in the re-examination of UP Police Constable exam. To appear in this examination, candidates need to carry their UP Police Admit Card 2018 which will be available on the official website to download. They need to provide some required information to download their admit card. UP Police Admit Card 2018 is a very important document for all applied candidate. Candidates should download it from the official website. Applied candidates who are going to perform in the written examination, they have to take the UP Police Constable Admit Card 2018. Because without hall ticket, candidates will not be able to enter the exam hall. An admit card is a key to appear in the exam. Candidates can download by providing some required information like Roll Number or Registration Number and Date of Birth or Password. Admit card holds some important information regarding candidate and exam-like candidates name, candidates parents name, test venue address, exam date and time etc. The UP Constable Examination will conduct on 27th and 28th January 2019. Candidates should download their admit card before some days of examination so that if there will any problem, they can discuss with the administration. The admit card will available soon on the official website. 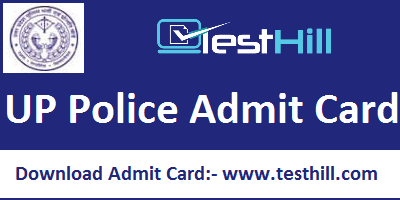 You can download UP Police constable admit card directly by clicking on the link which has provided by us in the table below. Short Info: Uttar Pradesh Police Recruitment and Promotion Board has released an announcement for UP Police Constable Phase-II Recruitment 2018. There are a huge number of candidates are going to this department. They all have applied for UP Police Recruitment 2018. Candidates need to appear in the written examination to get the respective post. And to appear in the written examination, they will have to carry their UP Police Admit Card 2018. The UP Police Admit Card 2018 will be available on the official website of Uttar Pradesh Police Recruitment and Promotion Board. The examination will be organized on 27-28 January 2019. Candidates should remember that they have to provide some ordered information like application number/registration number and password/date of birth. So, they must remember their individual information details. UP Police Admit Card 2018 is very important for those all candidates who have applied for UP Police Constable Phase-II Recruitment 2018. Now, it is going to conduct the UP Police Constable Phase-II Examination on 27th and 28th January 2019. Candidates who are going to appear in this examination, they need to carry their admit card with them. UP police Hall Ticket will be available on the official website. Candidates will need to go to the official portal. Admit card is a key to appear in the written examination. Because without this, the authority will not allow anyone to enter the exam hall. Admit card contains some important information which is very useful for the applicant and the examiner. These details are candidate’s name, their parent’s name, their address, their thumb impression, signature, and exam hall address, exam time and date etc. There is a great number of candidates have applied for UP Police Computer Operator Recruitment 2018. Now, the authority is going to conduct the UP Police Computer Operator Examination on 21st December 2018. To appear in this examination, candidates need to carry their admit card with them on the exam day. So, UP Police Computer Operator Admit Card 2018 is very important for those all candidates who have applied for UP Police Computer Operator Recruitment 2018 of 666 vacancies and going to appear in the written examination on 21st December 2018. UP police Hall Ticket will be available on the official website to download. They will be available to download it from this page also. We will provide the direct link to download it. Hall Ticket is a key to appear in the written examination. Because without this, the department will not allow anyone to enter the exam hall. Admit card holds some important information which is very important for the applicant which are applicant’s name, their parent’s name, their address, their thumb impression, signature, and exam hall address, exam time and date etc. You will be able to download your admit card from this page by below-given link. UP Police SI/ASI/Clerk/Accounts Admit Card 2018 is very important for those all candidates who have applied for UP Police SI/ASI Recruitment 2018 of 760 vacancies and going to appear in the written examination on 22nd December 2018. UP police Hall Ticket will be available on the official website to download. Candidates need to go to the official portal. Admit card is a key to appear in the written examination. Because without this, the authority will not allow anyone to enter the exam hall. Admit card consists some important information which is very useful for the applicant and the examiner which are applicant’s name, their parent’s name, their address, their thumb impression, signature, and exam hall address, exam time and date etc. You will be able to download your admit card from this page by below given link. We will provide the direct link to download it. Uttar Pradesh Police Recruitment and Promotion Board has conducted the UP Police SI 2016 DV/PST Examination on 22 June 2018 to 30 June 2018. But, according to officials, the signature and photographs didn’t match in the Physical Standard Test. So, 80 candidates have to appear in the re-examination. The administration is going to conduct the UP Police SI 2016 DV/PST Examination on 12 Dec to 22 Dec 2018. The admit card is available from 19th November 2018. According to new notice, the PST will conduct on 25-11-2018. Candidates need to download their admit card to appear in the written examination.